The Butterdome… Alberta’s largest craft sale of the year. 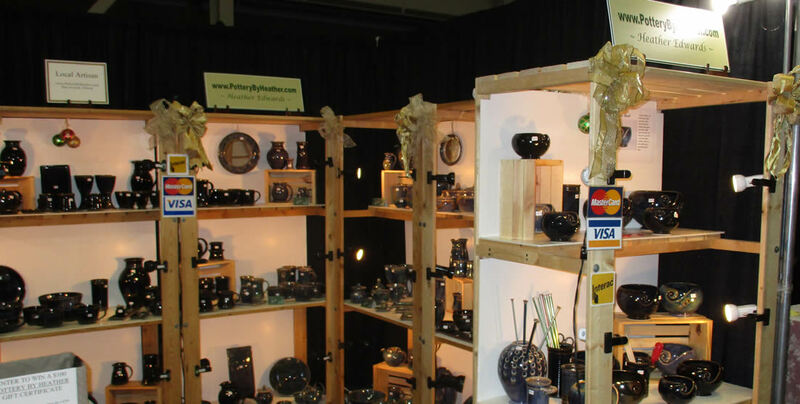 Talented artisans from across Canada gathered together for four days. It is a hand made officianados mecca. And it is always an honour for me to be there with my display shelves filled to overflowing with lovely pieces of pottery ready to become that perfect Christmas gift. Don’t forget that the LRT is just a block away for easy access. Counting down to the shopping event of the year! The studio is open for sales and visits daily. Please make sure and call ahead to ensure we are in the studio to greet you when you arrive. We will be closed though from November 27th – December 4th as all the pots will be at the Butterdome!